Hidden Lake Farm is located in Swedesboro, NJ situated on 120 Acres. and 12 stalls in the mare motel. We also have 2 outdoor arenas, a 6 horse walker, and roundpen. 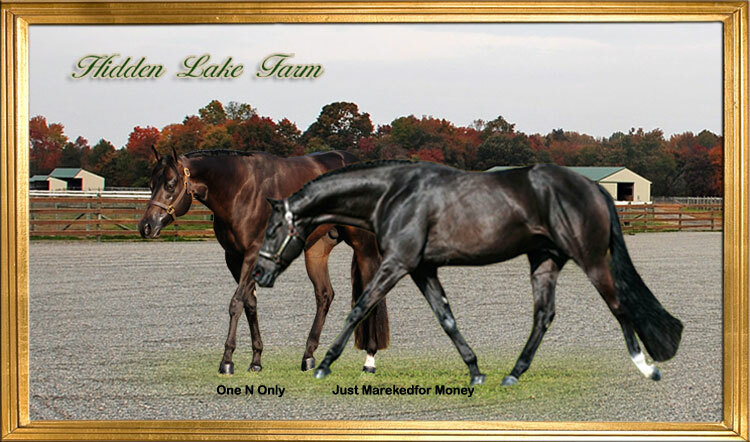 We currently own 2 stallions; One n Only and Just Markedfor Money. We always have a nice selection of weanlings, yearlings, and two year olds. Our goal is to breed quality show prospects and prepare young horses for a long and lasting show career. Design © 2007 - 2018 Equine Video Creations.. All rights reserved.